Through adversity and challenge, we heal and awaken to our desires, talents and skills. 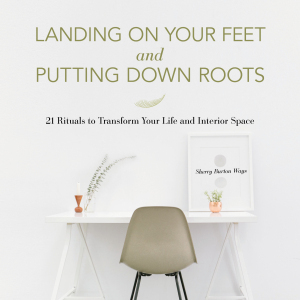 In her new book, Landing On Your Feet and Putting Down Roots, Sherry Burton Ways shows us the story of reclaiming her life, her space and her personal design style voice after the ending of her marriage. Her book is filled with ideas and inspirational ways to step by step restore your spirit and bring beauty, intention, and YOU into your living spaces. 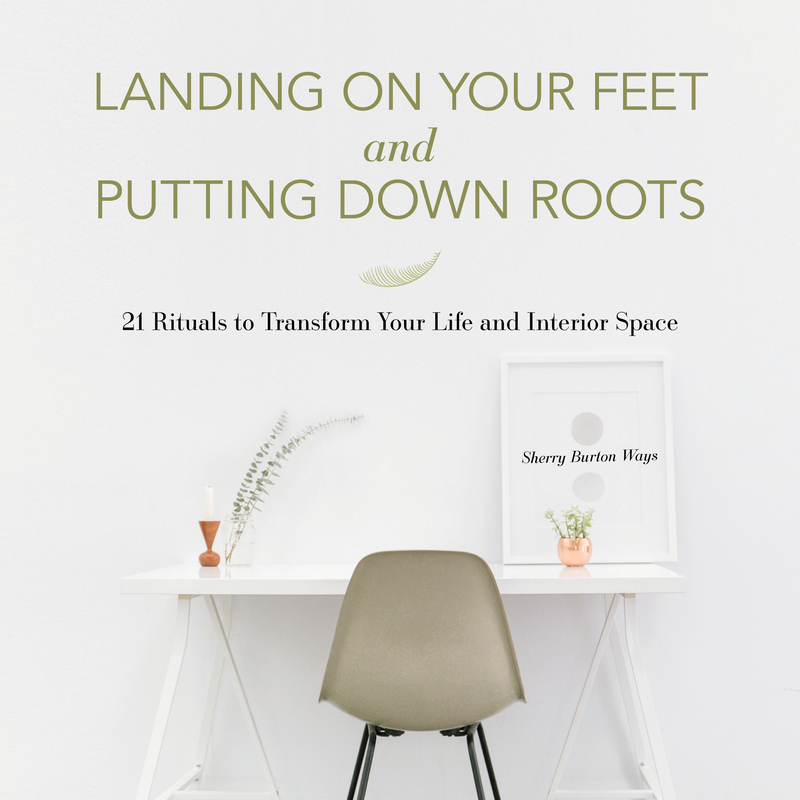 Twenty-one rituals from journaling and setting an intention to meal preparation, bathing and essential oils, Sherry inspires you with an overview of each ritual and specific action steps to help connect with who you are and what you want in your space. And let me tell you, dear reader, the photos are gorgeous. Gaze upon them and use them as part of a sitting meditation bonus. They are calming, healing and inspiring.